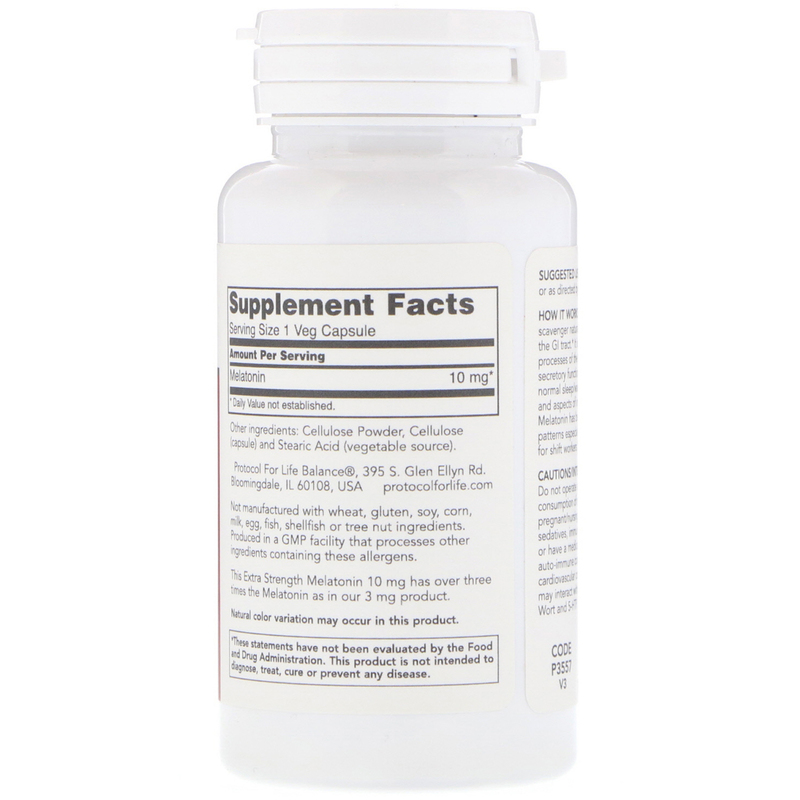 How it works: Melatonin is a potent free radical scavenger naturally produced in the pineal gland and the GI tract. It is involved in many of the regulatory processes of the body, including regulation of glandular secretory functions related to the maintenance of normal sleep/wake cycles, maintenance of GI health, and aspects of immune system function. Supplemental Melatonin has been shown to support healthy sleep patterns especially when traveling across time zones or for shift workers. Take 1 capsule prior to bedtime, or as directed by your healthcare practitioner. 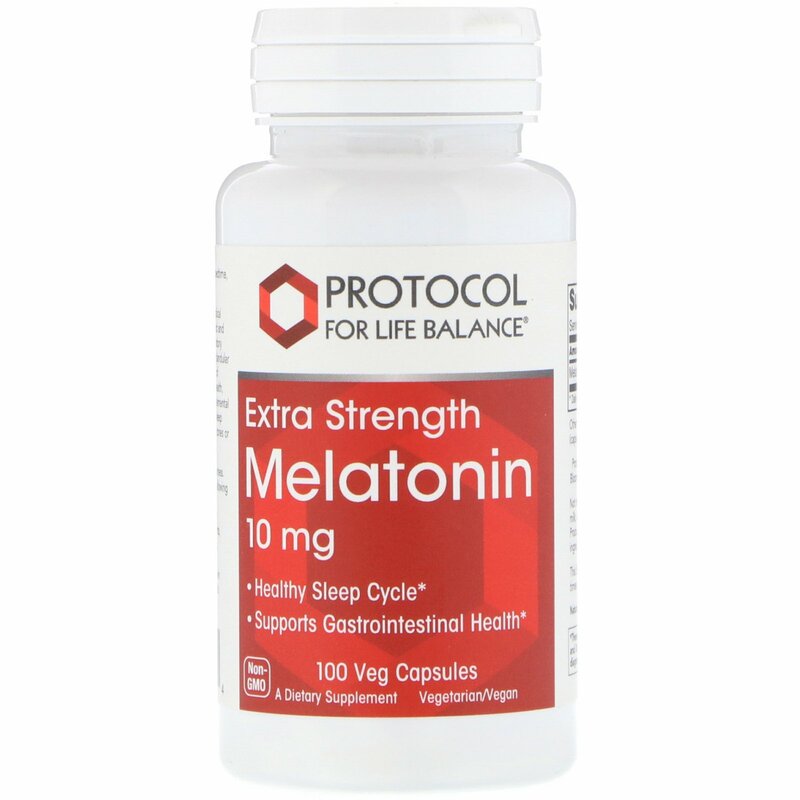 This extra strength melatonin 10 mg has over three times the melatonin as in our 3 mg product. May cause drowsiness. Do not operate a vehicle or heavy machinery following consumption of melatonin. Consult physician if pregnant/ nursing, taking medication, especially sedatives, immunosuppressants or anticoagulants, or have a medical condition including diabetes, auto-immune conditions, depressive disorders, cardiovascular conditions and epilepsy. Melatonin may interact with supplements such as St. John’s Wort and 5-HTP.